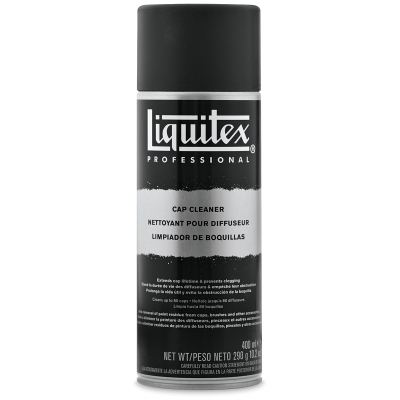 Prevent clogging, reduce waste, and extend the life of your spray paint nozzles with Liquitex Professional Spray Cap Cleaner. In just three seconds, it easily and safely removes paint residue from spray paint caps as well as other tools and accessories. The aerosol formula is easy to work with and compatible with other spray cap brands. One 10.2 oz (290 g) can is able to clean up to 80 spray caps.